(CNS): Author Guy P. Harrison, a former Grand Cayman resident now living in southern California, has written a new book that is attracting high praise. 50 Popular Beliefs That People Think are True is a skeptical grand tour of extraordinary claims and unusual beliefs, including UFOs, psychics, near-death-experiences, ghosts, intelligent design, alternative medicine, alien abductions, conspiracy theories, faith healing, astrology, doomsday predictions, Atlantis and more. “Rather than just explain away beliefs that are unlikely to be true and leave it at that, this book also attempts to enlighten people about how our brains work and how they set us up to fall for false claims and irrational beliefs,” explainedHarrison. “Harrison has added to the growing body of skeptical literature a contribution that will continue to move our culture toward one that openly embraces reason, science, and logic," wrote Michael Shermer, publisher of Skeptic magazine and Scientific American columnist. 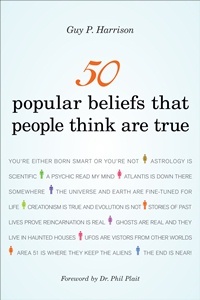 50 Popular Beliefs That People Think are True is Harrison’s third published book, all of which carry a pro-science/critical thinking theme. His other books are: 50 Reasons People Give for Believing in a God and Race and Reality: What Everyone Should Know About Our Biological Diversity. Harrison said people often ask why he dedicates himself to writing about science and skepticism. 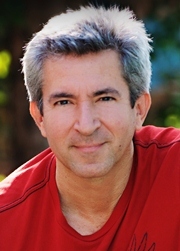 Harrison recently spoke about his new book for two hours on Chicago’s WGN Radio and is scheduled to be interviewed on other nation-wide US radio shows, including “Coast to Coast AM” and Michio Kaku’s “Science Fantastic”. 50 Popular Beliefs That People Think are True is published by Prometheus Books and available at Amazon, Barnes and Noble, and bookstores worldwide. (CNS): Officials in the Turks and Caicos Islands have said that the interim government has launched a new white paper summarizing proposed new and amended pieces of legislation to guide the future governance in the islands for public review. The document circulated on Monday was prepared by the EU funded Legislative Review project team and is about addressing “deficiencies and gaps in laws which are key to the governance process in the TCI” and developing more efficient and transparent modes of operation for the public sector, the governor’s office spokesperson said. This white paper was described bythe UK officials as a step towards helping TCI meet one of the key milestones for a return to elected government. The review and reform exercise should result in new laws which are compatible with the new constitution and with regional and international treaty obligations, theauthorities stated in a release. The Territorial Authorizing Officer for the EU funded Project is the Turks and Caicos Islands Permanent Secretary in the Ministry of Finance and Chairman of the Project Working Group, Delton Jones (above). 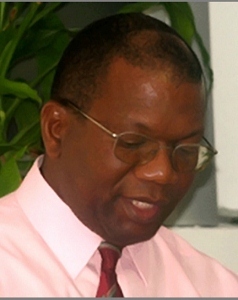 "The project is an important input to on-going efforts to elevate public sector management through the institution of a series of political, economic and social development projects aimed at helping to restore the economic viability and good governance of the TCI,” Jones said, noting that it was one component of a wider initiative of stabilization and development towards a path of “greater financial viability and sustainability” that the TCI interim government is undertaking. “I hope the populace would embrace the opportunity to make an input into the final laws through the consultative progress that is integral to the project,” Jones added. The document was drawn up by a committee headed by Professor Rose-Marie Antoine, which spent several months with senior government professionals, its advisors, and special interest groups on a wide range of areas, touching all government ministries. The White Paper gives the public an insight into the policy issues involved, analysis of the issues and possible legislative direction being taken and a basis for consultation on these new laws. (CNS): McKeeva Bush has dismissed any ideas that his recent comments were indications that he was stepping away from the political fray and said the remarks made about him “looking pity” had fuelled him on. Speaking for an hour and a half to a crowd of over one hundred people on Tuesday night, the premier launched a full scale attack on his critics and the opposition, accusing them of inciting people on a path to violence and destabilizing the country with their calls for demonstrations and campaigns against his government’s proposals. He told the audience that he was “not prepared to go" and that he was still the premier and he intended to “stand fast”. Speaking about the grief he had suffered over the death of his daughter last year, the premier said that perhaps he needed sympathy but when Arden McLean went to East End and told the people he was “looking pity … and said that the Foreign Office was forcing me to retire there could never be a bigger lie … It stirred the old fire in me!” he exclaimed to the cheering crowd. The premeir condemned the recent agitation against the ForCayman Investment Alliance, a proposed agreement with the Dart Group, and said that in order for Cayman to make an economic recovery the country had to be stable. But he said the opposition, the independent member and what he described as their “cohorts and wanna be politicians” were endangering the country with their action. He said that when they “smeared the mud”, they damaged the image of Cayman. He said their reckless speech was damaging the country and the “cave” people were obstructing everything because they knew they would all be lost if his government was successful in its economic policies. Bush told his supporters that he was concerned about the “self-seeking” action of the opposition and said they had to be more responsible because of the impact this had on the international stage and Cayman’s global image. Despite being under police investigation himself while remaining head of the government, which many critics say is having a genuine destabilizing and damaging impact on the country’s international image, Bush said it was the opposition, the call for demonstrations and the media such as CNS and the local talk shows which were the problem as he accused them all of not caring how their actions appeared and how it could hurt everyone. 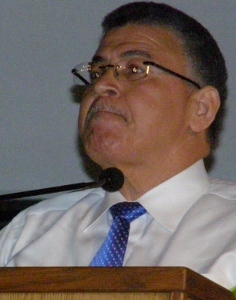 The premier said he was not afraid of anyone, “even if they were in the governor’s office”, as he had done nothing wrong and the “truth would come out”, in an oblique reference to the investigation into financial irregularities associated with the premier and the developer Stan Thomas, a former investor and land owner in the Cayman Islands, over a 2004 transaction. In his fiery presentation, which looked much more like an election campaign speech than an update on the current projects as billed, Bush listed what he claimed as his many political achievements, adding that he had 27 years of results in politics and described himself as a worker. From the introduction of benefits to veterans to labour rights for workers, the premier spoke about what he had done in comparison to the activists and opposition politicians, who he said had done nothing for the people of the Cayman Islands and were promising a “path to violence” and the destruction of property. He said destabilization came from “desperate, power-hungry empty vessels with nothing to lose”, who were leading innocent people on a Kamikaze mission. Bush also took aim at the bureaucratic harassment that he said he was facing from inside government as well as outside. In a familiar criticism of whathe described as "stumbling blocks”, he said that the plan to divest the Water Authority’s sewerage system had stalled and he was determined to find out what had happened. He said the UK had supported efforts to sell assets and the WA board had agreed to put it out to tender. He said it was part of the whole bureaucratic harassment and believed someone had complained to the auditor general so he would investigate. “But it can’t be held hostage because the people can’t get the business themselves,” he stated. Bush spoke about the promise of many of the forthcoming projects and other issues that he said his government had achieved. He described the launch of Cayman Enterprise City as a “master stroke” and that the Dr Devi Shetty hospital project was about to go through the planning process. He said his government had attracted interest from investors worth "billions and billions of dollars". Bush also claimed that his government had managed to get the public accounts up to date, despite the fact that the accounts from most of the ministries and portfolios after 2007/2008 have not yet been made public. Although the premier’s office circulated a flyer about a number of issues, including the port negotiations, there were few new details on the current state of that particular development project. He said government was still negotiating to allow local people to have shares in the upland project and that government had just signed a contract with Luis Ajamil of Bermello & Partners, one of the world’s leading marine architecture and engineering firms, as a consultant on the project. Check back to CNS later this week for more from the public meeting. (CNS): Updated 9:40am — Two men are now being treated at the Cayman Islands Hospital and a third has been arrested, according to an early morning police report. An RCIPS spokesperson said that officers were called to Club 7 on the West Bay Road Wednesday morning in connection with a shooting that occurred outisde the club at around 3am when the men were both hit. Police have not yet released informaiton on the condition of the victims but have stated that officers recovered a firearm at the scene and arrested one individual. The police are now conducting enquiries into the shooting and are seeking people who were at the club this morning and who may have witnessed the incident. (CNS): After many years of ambiguity about whether civil servants can or cannot sign petitions, the deputy governor’s office has released new policy guidelines that allow regular civil servants the right to put their names to petitions of most kinds. 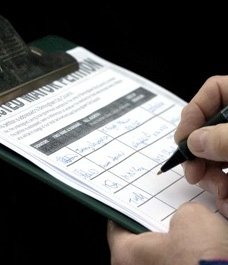 The new groundbreaking policy also provides a way for key civil servants and sensitive or senior post holders to sign petitions designed to trigger people-initiated referendums. The policy decision means that registered voters who work for the government and support the principle of one man, one vote will be able to sign the latest petition aimed at triggering a people’s referendum. There are certain caveats, especially for those working in the top echelons of government with ministers, and all public sector workers will be expected to maintain their positions of neutrality, but the vast majority of public employees will finally be able to partake in the right to support causes and issues they believe in without fear of losing their jobs. Those in senior or more sensitive positions will need to notify their ministers and chief officers of their intention so sign up to a petition, but once they do so they too will be protected from unfair action against them. Any civil servant who believes action has been taken against them because they have legitimately signed a petition will be able to take the matter to the deputy governor. Any action taken or harassment against a public sector worker who signs a petition legitimately is now liable to disciplinary action, turning the tables on the current state of affairs where civil servants fear for their positions when they sign petitions. The policy, which breaks up petitions into different categories of civil servant, seeks to strike a balance between everyone’s democratic rights, which is enshrined in the 2009 constitution, and the need for neutrality and objectivity in the civil service. The new policy holds that public employees follow established codes of conduct and values and keep their political opinions separate from their work. This means it will not be possible for some top government employees to sign a petition which conflicts directly with the view held by their political bosses, and as a result Manderson said in his policy guidelines that there had to be some restrictions. The guidelines ask all civil servants to consider when signing a particular petition whether doing so would impact their ability to discharge their normal duties and whether it would affect any of their direct dealings in the course of their work.